Our colleagues from ornitho.cat report a massiv influx of Collared Flycatchers in Catalonia: With more than 100 records it's the most important influx they ever recorded (zoom into this map). The species was also seen at many sites in Southern France. Thus watch out for this species the next days! 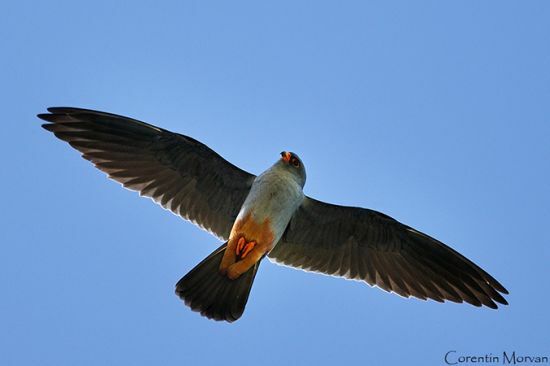 Over the last few days, Red-footed Falcons have already been reported from many sites in the ornitho-countries. This map gives you an overview. We recommend to zoom-in. Twice a year, the Swiss Ornithological Institute publishes the so-called “ID-Bulletin”. 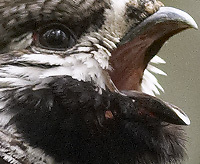 This report summarizes the most interesting bird sightings and developments on the Swiss Avifauna over the last months. The main information source of this report are the sightings posted on ornitho.ch. Additionally, updates of the different monitoring projects of the Swiss Ornithological Institute are presented as well as interesting ring founds. The latest issue of September 2018 can be found here (in French or German). This is a great day for the field ornithologists throughout Europe: Today, in the framework of Bird Number 2019, the EuroBirdPortal (EBP) releases the LIVE version of its viewer: now up-to-date bird movements that take place across Europe are just one click away! The LIVE EBP viewer shows the distribution of 105 bird species on weekly animated maps spanning from January 2010 up to the current week. This is an unprecedented development in European ornithology and a landmark in the mobilization of citizen science data. The whole content is updated on a daily basis with the information collected by the EBP partner's online bird portals: c. 120,000 new bird records per day (c. 45 million new bird records every year). 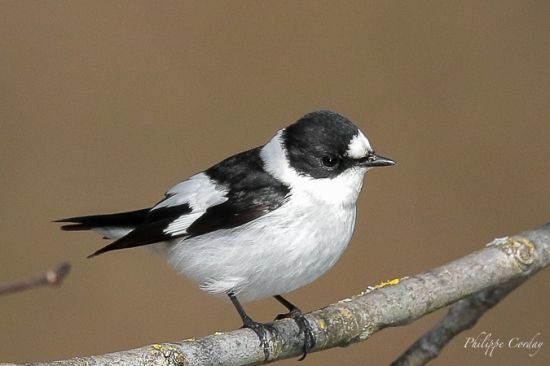 A EU LIFE grant has made possible the mobilization of such a huge quantity of information in near real-time thanks to the development of the new central EBP database repository and an automatic data-flow system that connects 15 different online bird recording systems (99.2% of the whole EBP data) with the central database. The Swiss Ornithological Institue supported this initiative since its beginning. Following Swallows and Cuckoos as they undertake their journeys through Europe is now a reality. The EBP viewer was launched in 2015 and aims at showing the scope and potential of the project depicting the week-by-week distributional patterns of bird species using a total of nine types of species maps and climatic variables. Since two animated maps of any type and year can be selected to be shown simultaneously for direct comparison, all in all, currently more than 50 million different map combinations are available to choose from. The breeding period of grey herons is already in full swing. It is now and especially during April (but still before the leaves shoot!) the best time to find colonies and count the number of occupied nests. The Swiss Ornithological Institute uses observations reported via ornitho.ch to document the development of the grey heron (see index). But your reports can also be helpful for other research institutes: a team from Eawag, in collaboration with the Swiss Ornithological Institute, has been searching for tags that have been used to mark brown trout under grey heron colonies in Central Switzerland. With the help of these data they can show that brown trout raised in fish farms (and later released into the rivers) are more frequently captured by grey herons than trout hatched and raised in the wild. So scientists are using your observations in their research which ultimately also serves to protect birds and other animals. We are grateful if you try to count the number of occupied nests in known colonies and report this through ornitho.ch. We are also dependent on you to detect any new colonies: Grey herons flying into the edge of a forest can be a promising indication. In order make your data most valuable to science, please report colonies as accurately as possible (precise location) and fill in the number of occupied nests in the colony tool. Thank you very much for your collaboration! Diverging opinions are heard considering the potential disturbances Long-eared Owls may encounter when they are observed or photographed in their sleeping places. Occasionally, intense discussions occurred in several places and many birdwatchers and rangers recommended us to hide Long-eared Owls sightings. As a result, we have decided from now on to automatically hide each observation of Long-eared Owl posted on ornitho.ch. Keep in mind that disturbing birds can represent a considerable loss of energy for them, especially in winter. Please adopt at any time an appropriate attitude while observing and photographing birds. Thanks in advance for your comprehension. Many Thanks for your commitment in 2018! 2018 was again a very successful year for ornitho.ch. More than 1.94 million sightings have been posted on ornitho.ch, more than any year before! Your observations were coming from over 28’000 different kilometer squares in Switzerland; this means that 2 out of 3 kilometer squares were visited by at least one of more than 2000 active contributors of ornitho.ch. A big thank for this assiduous and impressive commitment! We wish each user of ornitho.ch a healthy, happy and prosperous year and hope that 2019 will again provide you with many surprises and discoveries! The migratory behavior of the White Stork has changed in the last years. 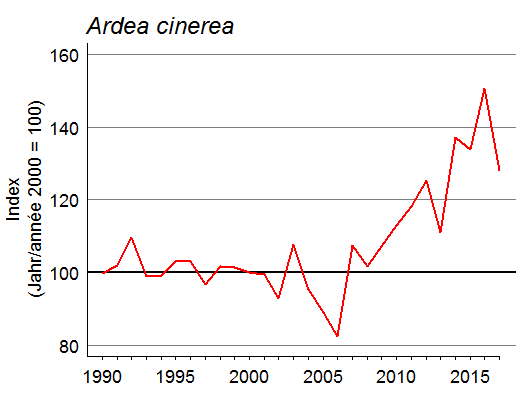 Many Storks are not moving to West Africa any longer but remain in southern Spain the whole winter. 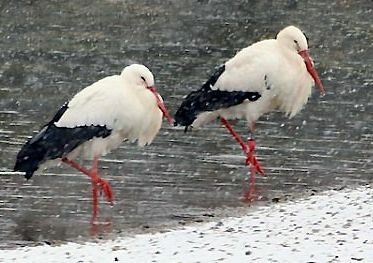 More and more Storks have been spending a part of or the whole winter also in Switzerland in the recent years. The 3rd Winter White Stork Census in Switzerland will take place on 5th January 2019. The association “Swiss Storks” requests your help. All sightings, including ring readings, can be submitted via ornitho.ch. If you wish to commit yourself to search a specific area, please contact “Swiss Storks” (phone: 062 965 29 26) directly. More information about this census can be found here. The Swiss Rarities Committee (SRC) has published the minutes of its last meeting, held on 8 November 2018, on the SRC website (www.vogelwarte.ch/src). Among the reports accepted during that meeting are the 6th record of Terek Sandpiper since 1900, the 9th record of Manx Shearwater, the 14th record of Thrush Nightingale, the 16th record of Lesser Kestrel since 1900, 8 records of Cinereous Vultures as well as 29 records of Rosy Starling (at least 89 individuals). In order to facilitate its administrative work, the SRC recommends to send the rarities reports and photographic proofs as soon as possible and if possible in electronic format (preferably as Word file) to the following address: sak@vogelwarte.ch. The form can be downloaded from the SRC website (www.vogelwarte.ch/src-downloads). Please send us reports about observations of 2018 by 10 January 2019 at the latest, so that the SRC can examine those reports in time. The SRC thanks you for your collaboration and wishes you many interesting winter observations. Info Species has published an overview of a broad course offer for nature enthusiasts for 2019. This overview can be downloaded here.